Digirad redefines nuclear imaging. Again. Why settle for lower specificity SPECT MPI approaches or the high costs of other imaging methods? Now you have a choice. Digirad has taken the X-ACT camera to the next level with a complete redesign, new features and new benefits. X-ACT+ is a groundbreaking, SPECT/FAC camera that offers more accurate test results, less radiation dose to the patient, and does this while reducing the cost burden to the healthcare system. With its optimized, solid-state, triple-head design, the X-ACT+ can complete emission and transmission data acquisitions without repositioning the patient. Setting the standard for SPECT MPI system performance. With its breakthrough technology, unrivaled precision, and unmatched performance, the X-ACT+ imaging system is not only tackling the industry’s challenges, it’s leading the way into a new era of nuclear cardiac imaging. A new generation of imaging excellence. 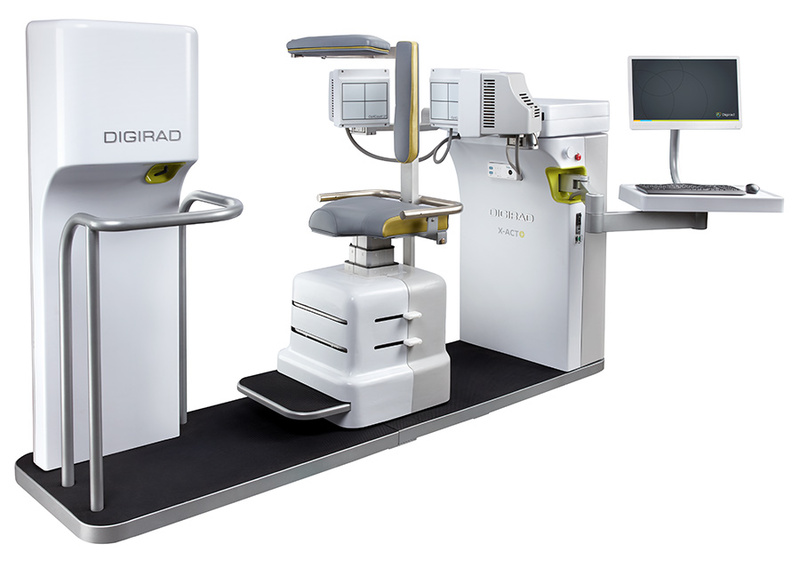 Uniquely designed for the modern healthcare market, the Digirad X-ACT+ delivers a new level of SPECT MPI imaging. 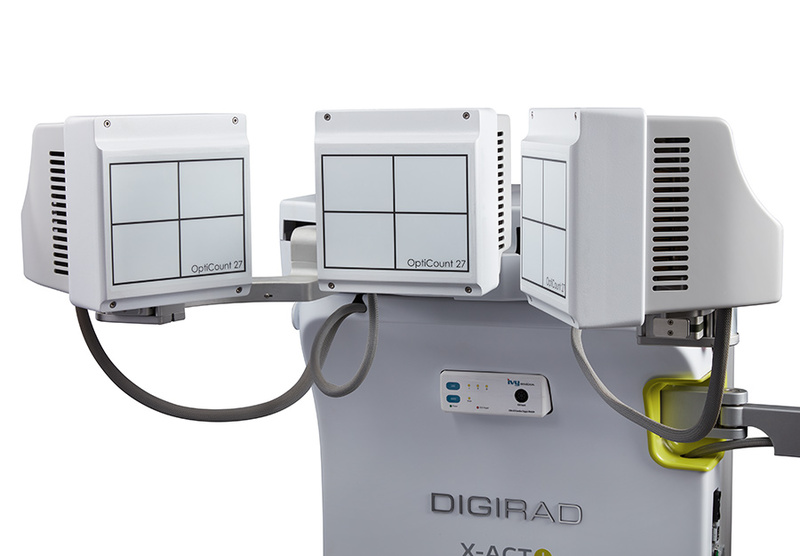 Powered by Digirad’s proprietary solid-state technology, X-ACT+ produces images with unparalleled clinical accuracy – all while lowering the radiation dose and improving patient ergonomics. Attenuation Correction of SPECT MPI studies results in higher specificity without a decline in overall sensitivity. The significant improvements in normalcy rates means fewer needless coronary angiograms, resulting in lower overall cost burden to patients, payers, and healthcare systems, all while providing superior outcomes in clinical accuracy. Not only does X-ACT+ lower dose with its triple-head design and software enhancements, its fluorescence attenuation correction method affords high statistical precision with up to 1,000 times less patient radiation exposure than other CT-based AC approaches. 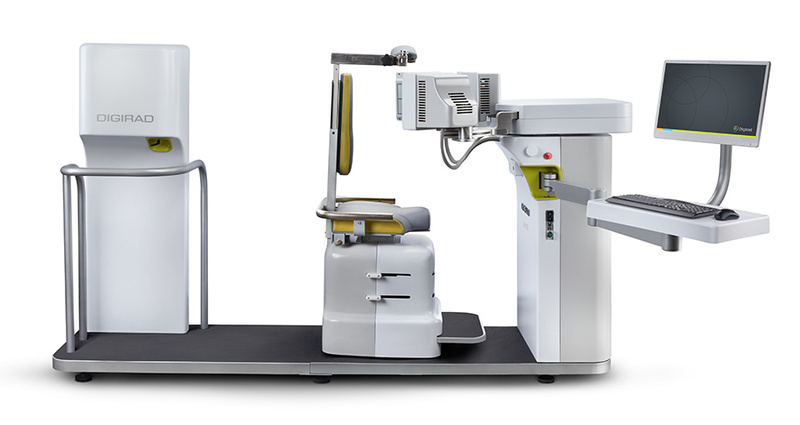 The X-ACT+ improves upon Digirad’s revolutionary patient-friendly, open, and upright design. 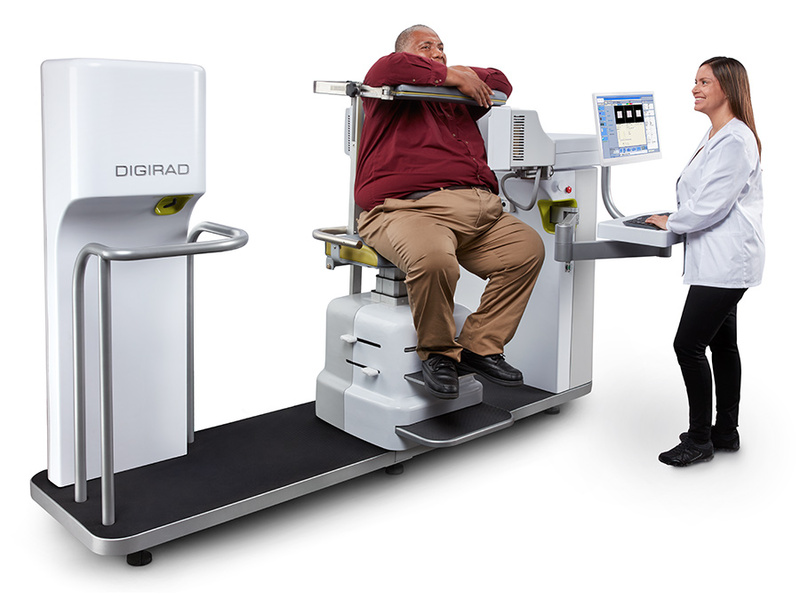 The new design makes imaging easy for patients weighing up to 500 lbs. 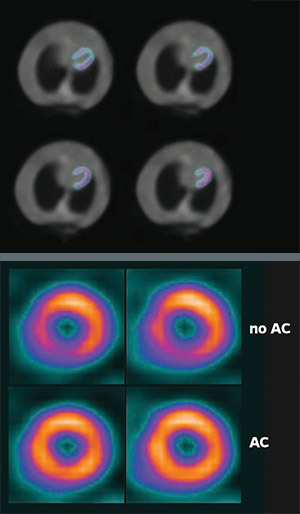 The Cardius X-ACT+ imaging system makes it possible to perform cardiac SPECT/FAC studies by employing new low dose ﬂuorescence attenuation correction techniques. The high efficiency, solid-state triple-head design with nSPEED™ 3D-OSEM reconstruction, and integrated attenuation correction reduces total imaging time. Digirad's TruACQ™ parameters ensure 100% compliance with ASNC imaging guidelines for every patient, every time, regardless of patient size or injected dose. The system's design positions the patient comfortably and perfectly for optimal cardio-centric imaging. The heart never leaves the field of view through emission and transmission, providing images free of truncation or attenuation artifacts. 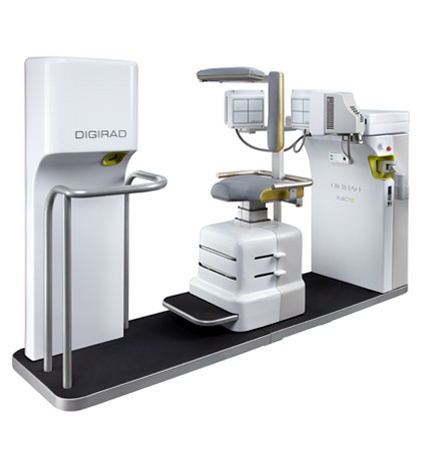 Digirad’s proprietary solid state, high definition detectors offer superior clinical performance and reliability.